Screen Award nominee and three-time Gemini Award nominee, Heather Hiscox is a Canadian news anchor, well known for hosting CBC News Now from 6 to 10 a.m. on weekdays on CBC News Network. She previously hosted the CBC's former flagship morning television program "CBC News: Morning." Heather Hiscox was born on November 18, 1965, in Owen Sound, Ontario. She grew up in a medical family. Hiscox attended the University of Toronto and graduated from there in 1986 with a B.A. in the French language. Then, she obtained her master’s degree in Journalism from the University of Western Ontario in 1987. In October 2011, she earned a gratuitous Doctor of Laws degree from the University of Western Ontario. 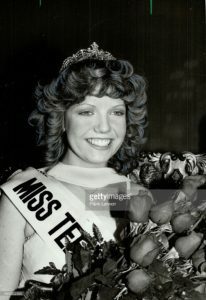 In 1981, she participated the Miss Teen Canada Pageant and won the title for Miss Teen Canada. Hiscox began her broadcasting career at the age of 17 as a disc jockey at the radio station at CFOS/CFPS in her hometown of Owen Sound, Ont in 1982. From 1988 to 1989 she did a variety of radio shifts at London's Rock FM96 CFPL-FM like afternoon drive and evenings. In 1990, Hiscox co-hosted a morning show on 1290 CJBK in London, Ontario along with Steve Garrison. Then, she worked in radio throughout the university and for the first few years after graduation, before moving into television in 1991. She made her appearance on the CIQC AM 600 Montreal program Travel World as part of a featured as "The Hidden Holiday Hideaway Haunts of Heather Hiscox" In 1997. She has worked both as a reporter and anchor in Southwestern Ontario, Toronto, Halifax, and Montreal. Hiscox did the shooting deaths of three RCMP officers in Moncton, NB; the nursing home fire in l'Isle Verte, QC; the historic presidential election in the United States that put Barack Obama in office; the state funeral of former Governor-General Romeo Leblanc; the deadly Cougar helicopter crash in the Atlantic off St. John's, Nfld. ; the Royal Wedding of Will and Kate; and the Diamond Jubilee celebrations for Queen Elizabeth II. She is currently, hosts CBC News Now from 6 to 10 a.m. on weekdays on CBC News Network. She was also a hostess of the CBC's former flagship morning television program "CBC News: Morning" which became part of CBC News Now when the channel re-branded itself in 2009. She also traveled abroad, covering international stories for the program. She has worked widely out of CBC's bureaus in Washington and London, England and has been part of CBC's coverage team at six back-to-back Olympic Games, in Turin, Athens, Beijing, London, Sochi, and Vancouver, as well as the 2015 Pan Am Games in Toronto. She was a Canadian Screen Award nominee for Best National News Anchor and was nominated three-time for Gemini Award for Best Host and Best News Anchor. She is a happily married woman. Her husband's name is Dr. Monty Goldbach, a heart surgeon. Heather loves to spend a maximum of her time with her husband. Heather is also involved in the various social charity and social events. She has also worked for the women’s right and conducted various campaigns for the women’s liberty and right. She has also made her great presence at national and international conferences raising the issues of women’s right. She has also contributed multiple charity and donations within various NGO’s and institutions for the issues addressing women.She also proved herself as a producer. She is also stated as a critic and has a critical analyzing capacity. She supposedly formed various strategies and innovative idea for improving her shows. She surely earns an attractive salary from her career, and most of the income source hails from her journalism and other charity works however she has not revealed yet. She is active on social networking sites.